Scraps of Darkness and Scraps of Elegance: A layout, a video, and a giveaway! We are thrilled to let you know Mandy Harrell is back! Kind of, lol. As I'm sure many of you know, Mandy was on our design team from the beginning... she took a break from designing, and we were sorry to see her step down, but happy to say she's scrapping and posting her work again! And while she hasn't joined our team, she did buy our September SOE kit, Mary's Song, and she has done a gorgeous layout with it! Mandy also did a fabulous video to go along with this layout, AND she's giving away a $10 gift certificate to our store! Stop by her blog to see the video and enter to win! 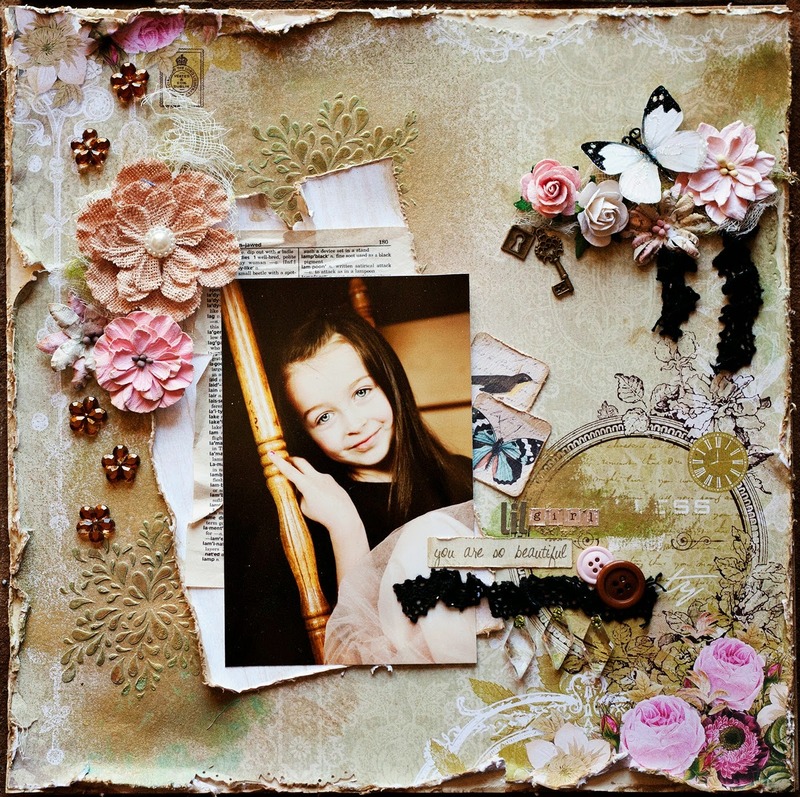 And I'd like to thank Mandy for working with our kit this month and doing such a gorgeous layout and video with it!